Brain Dump | Stuff I'm thinking about and fishing selfies. Stuff I'm thinking about and fishing selfies. 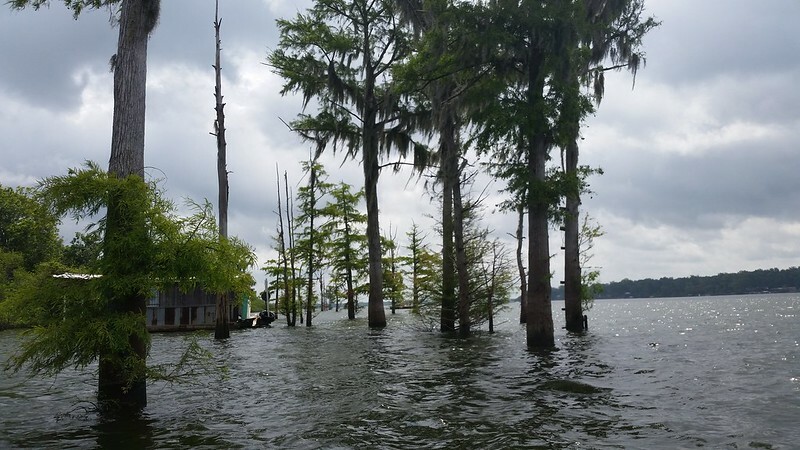 Lake Palourde (near Morgan City) is not too far away, so I went down there for an afternoon fishing trip. Not a whole lot to report, the wind was absolutely insane, causing whitecaps, etc. I put in at Lake End Park marina, then paddled through the waves into the canal that runs parallel to the marina driveway. I fished up and down the canal but didn’t have any great action. I did manage to catch a gaspergou on a small spinner bait. I had never caught one of these before so I texted a picture to my cousin and he helped me identify it. He was kind of small so I threw him back. I fished some more but didn’t catch anything. I packed up and headed back home. Went to Cypremort Point State Park, and I LOVED IT. Fishing was a TOTAL bust, but still had a great time paddling nonetheless. I think there was very little tide movement, and it was SUPER hot (the water felt like bathwater), which I think caused the fish to lose interest, but I had a great time. On the way down I didn’t come across any easily accessible places to get bait, but I came across Dockside at the Point at the park entrance. I didn’t find the place on Google Maps, but I stopped by and got everything I needed. Definitely keep them in mind if you’re headed that way. They gave me advice at where to catch some that day and later in the fall. I don’t have a lot to report due to the lack of fish biting, but it was definitely a blast, and I’ll be back. Again, this was quite some time ago, so I don’t remember all the details. This time I went to Old River (a.k.a. Raccourci Old River). This was a pretty short trip. The skies were overcast, there was a significant amount of wind, the water was WAY up, there were speedboats pulling people on skis and tubes…altogether it wasn’t super favorable conditions. I have a 10 foot line on my anchor, and my anchor couldn’t hit bottom (I’m too cheap to buy an anchor reel or drift sock). I don’t mind fishing deeper water, but I do like being able to manage my position, and being unable to anchor definitely hindered that. 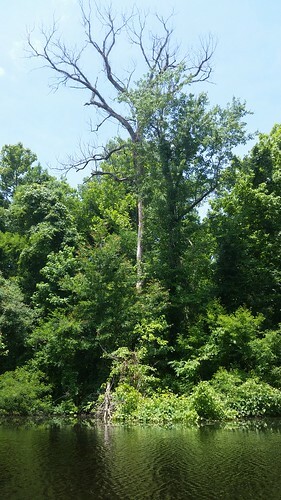 I ended up hooking my anchor to a tree and fishing from there for a while. 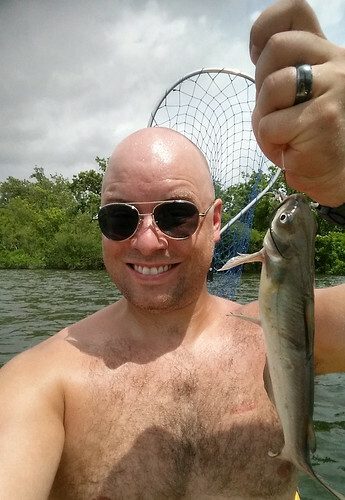 As far as fish, I managed to catch two small catfish, and I’m not entirely certain I didn’t catch the same one twice. I would try it again, but on a better day. If anything, it’s a beautiful place to paddle. This was over two months ago, so I don’t remember a lot of details, but I thought it would be fun to share anyway. 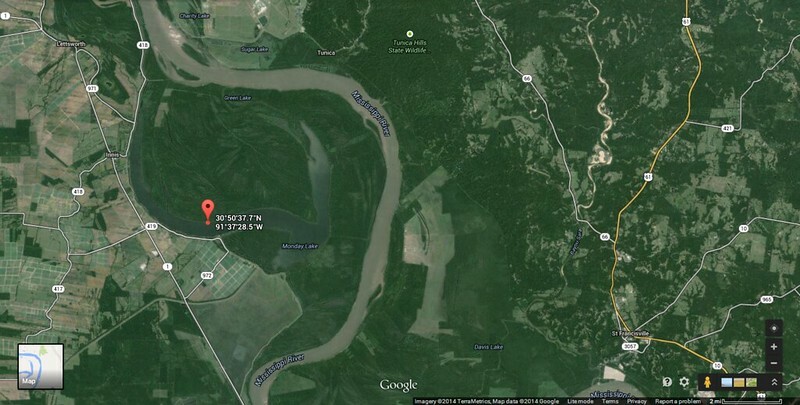 Big Alabama Bayou is located in Sherburne WMA in the Atchafalaya Basin. 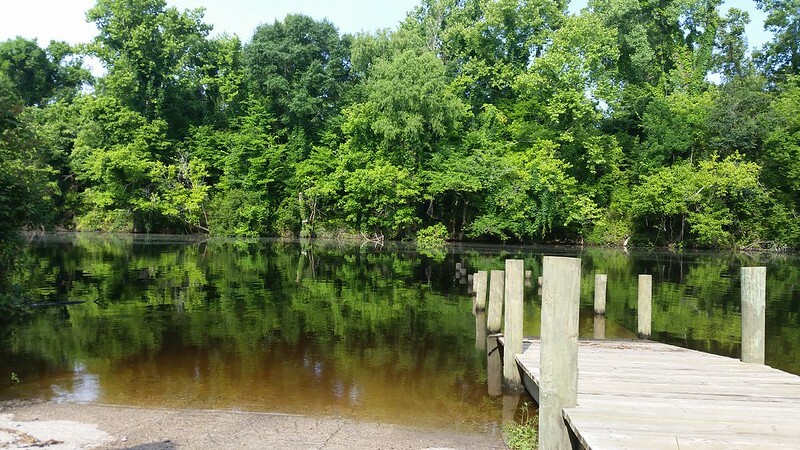 There are a lot of other bayous, ponds, etc. 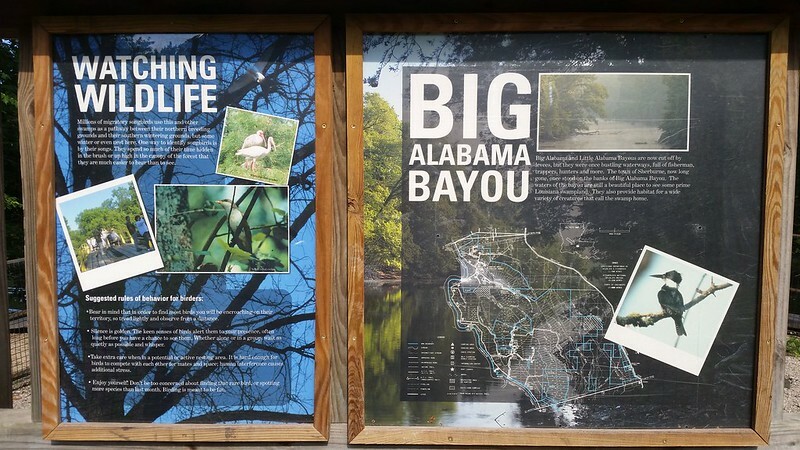 to fish, but I just tried out Big Alabama Bayou. There is actually a launch on both sides of the dock, which is nice. 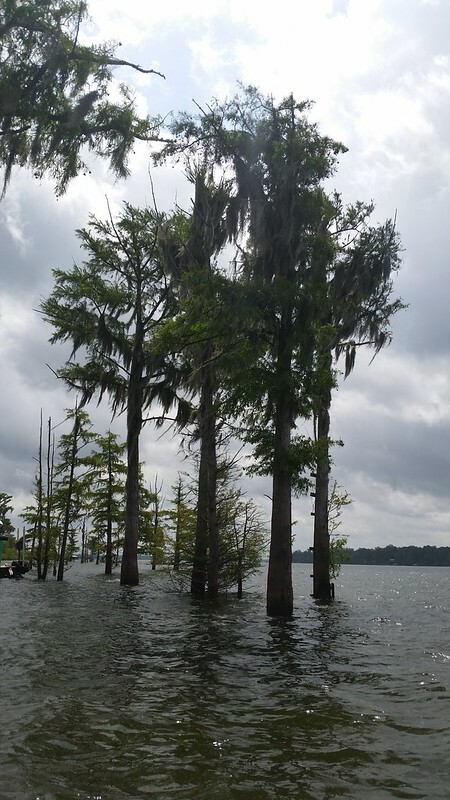 The dock is underwater because the water level was super high – logs of trees, bushes, etc. were underwater. 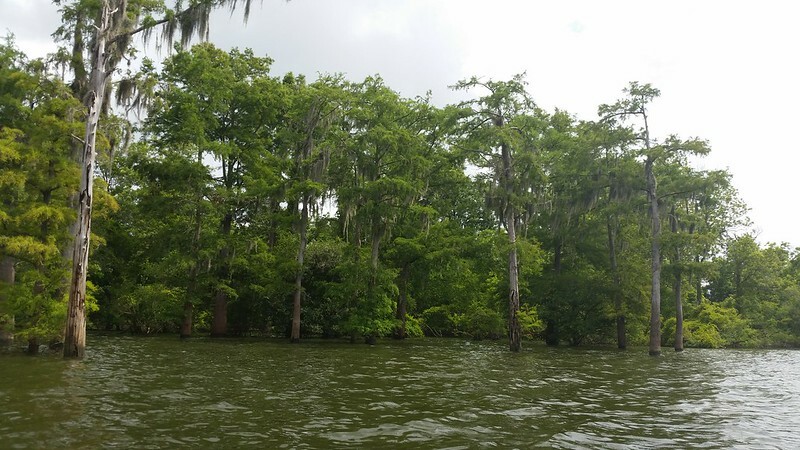 It was a fantastic day to be out on the water – the bayou is kind of narrow and is thus protected from wind, so the water doesn’t really get stirred up very much. 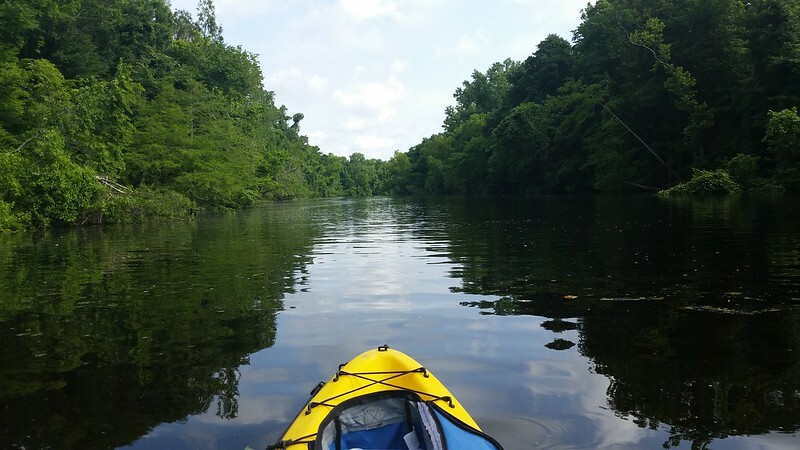 Paddling through the bayou was like sliding around on butter. It was not a productive fishing day, unfortunately. 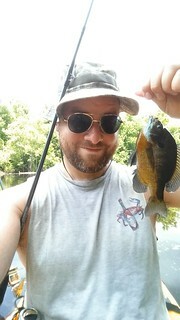 Just caught one little bluegill (not a keeper). While I was there I saw four or five boats fitted out for bow-fishing combing through the bayou. They were all going after gar, and if I remember correctly I saw a few myself. Even though I only caught one fish, it was still a great day to be on the water. Haven’t posted in forever, but there have been kayak fishing trips. My wife told me she has been telling people about my blog so I guess I better get some get those trips up. I stopped by Office Depot the other day while I was out to pick up some envelopes for my wife to help her out with her job. I got to the checkout and the cashier asked if I’d like some stamps. I told him I didn’t need any. Seeing as how I had 500 envelopes, his curiosity got the best of him and he asked why I didn’t need stamps for so many envelopes. I told him my wife works in public relations for an advocacy group for the Louisiana scholarship program, and she’d be delivering the envelopes to state legislators. His demeanor changed immediately – he lowered his eyes, his smile vanished and there was an awkward moment of silence. He looked at me and stated with a hint of sanctimonious snobbery, “Well, I think that all the money they’re putting into the program should be going back to the schools.” His smile returned, he wished me a good day, I did the same, then walked out. Given my list of tasks/chores for the day, I didn’t have the time to stop and challenge his position, and he probably didn’t have time at work to discuss it either. I rehashed our exchange in my mind as I drove around, and I chuckled to myself as I realized that his position fit the (perhaps overused) cliche that “insanity is doing the same thing over and over and expecting different results.” More money is thrown at the schools year after year, but the schools haven’t changed, so it’s clearly not a lack of money that’s the issue. Furthermore, it’s a completely uninformed, invalid argument. Louisiana saved millions over the past couple years by sending students to private schools; on average, it’s a couple thousand dollars cheaper to send a student to a private school than a public school. If public schools are getting more money than private schools, then why are so many failing? That extra money has to make some type of positive impact, right? The problem is that some public school money goes where private school money doesn’t: teachers’ unions. Public school funding includes teachers’ salaries, which in turn gets paid to the unions. A union’s job is to ensure the continued employment, compensation, benefits, and working conditions of its members. Once a teacher has tenure, their continued employment is more or less guaranteed, regardless of performance, thanks to the union. There is no incentive for teachers to strive to do better when the union is ensuring the teacher can’t lose their job. It’s in the unions’ best interest to keep teachers in schools – that means that they are being paid in dues. Essentially, school funds go to pay unions to keep bad teachers in place. I know this isn’t the express purpose of the unions, but unfortunately, it’s the way the system works under its current setup. Furthermore, it is not in the unions’ best interest to drop support for failing teachers. A union would dissolve in no time if teachers had no confidence in its ability to protect their interests. Throw all the money at the schools you want; buy tablets and PCs and start every imaginable program and extra-curricular activity you can think of. Unless you replace the bad teachers with good ones, you won’t see change. Unions see school vouchers as a threat. If students leave public schools, those schools don’t need as many teachers. As teachers leave the public schools due to fewer students (and go to work for private schools), unions see their dues start to drop, which is ultimately what they’re out to protect. There isn’t any good, defensible argument for keeping students out of the schools their parents choose, so they use anything from exaggerated stories to outright lies to sway public opinion (vouchers break separation of church and state, vouchers support the KKK, etc. etc.). What they’re ultimately saying in all of their hyperbole is that they believe a parent shouldn’t be able to decide where their child goes to school because they want their union dues. Why else would you fight a parent’s opportunity to send their child to a school they feel is a better fit for them? Lastly, one common argument I hear against vouchers is that some families don’t qualify for the scholarship program, yet they can’t afford to send their child to a private school, yet these lower-income families do now have that ability. I will 100% agree, it is not fair that this is happening. It’s also not fair, however, that I’m paying into Social Security that’s not going to be there for me when I retire. It’s not fair that there are welfare recipients that eat finer foods than I do. It’s not fair that EBT cards can be used to purchase lingerie. It’s not fair that nearly 40% of my income is taken in taxes and given to people who will not work. It’s not fair that my tax dollars went to bail out GM and Chrysler. See what I’m getting at? There are many inequities in life, especially when it comes to the government and how they manage our forcefully-taken money. I agree it isn’t fair that some kids get to go to private schools on the taxed income of others who can’t afford it, but the thing to keep in mind is this is a symptom of a greater issue. Individual liberty and personal responsibility are now old-fashioned values that nobody wants to live with any more. People have attempted to vote themselves into prosperity and now we’re left to deal with the results. Don’t kick and scream about how unfair it is; make informed decisions about who you vote for. Challenge and change the narrative. To be honest, though, in this system we’re living with today, I’d rather my tax dollars go toward giving a child a chance with a good education than subsidizing their life in prison. Yeah, I’m sure the Office Depot cashier didn’t have the time for such an ear full. I’m finally getting a chance to write about my newest and most exciting (to me, at least) hobby – kayak fishing. I’ve always loved to fish. I grew up fishing on Kentucky Lake with my grandparents and my family. 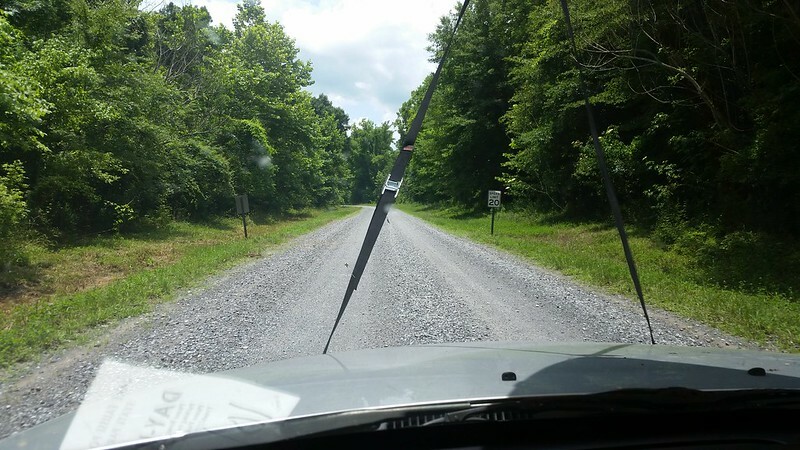 For about 6 years, almost every weekend during spring and fall, and almost non-stop during summer, we spent our weekends at our campground at Country Junction near Springville, TN. 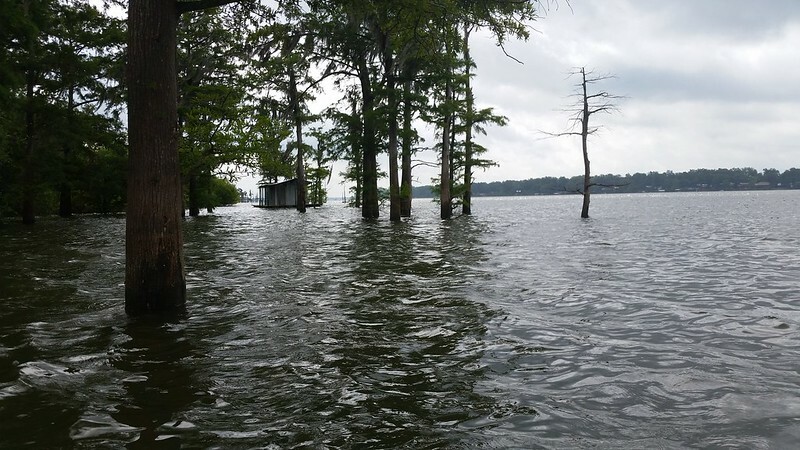 When I lived in Arkansas I attempted to fish in a few places, but I didn’t have a boat, and I didn’t know of any good places to shore fish, so it was a bust. Every since I moved to LA, I’ve made more efforts to get out and fish, and I’ve been much more successful here than I have been in the past. 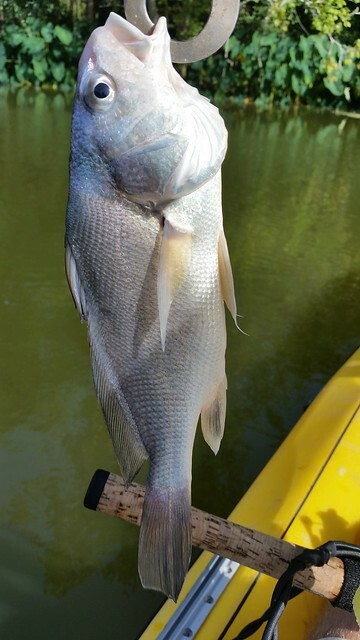 The kayak fishing notion started started last year (2013) around August or September. There are much better shore fishing opportunities here, but still, it’s better to be able to actually get out on the water. My wife and I had been kayaking a few times, and we loved it. I started thinking to myself, “what if I get a kayak and fish from it?” I don’t have a boat. I don’t have a truck to haul a boat. I don’t have a place to store a boat. I definitely don’t have the money to purchase a boat, a truck, and a place to put it all. 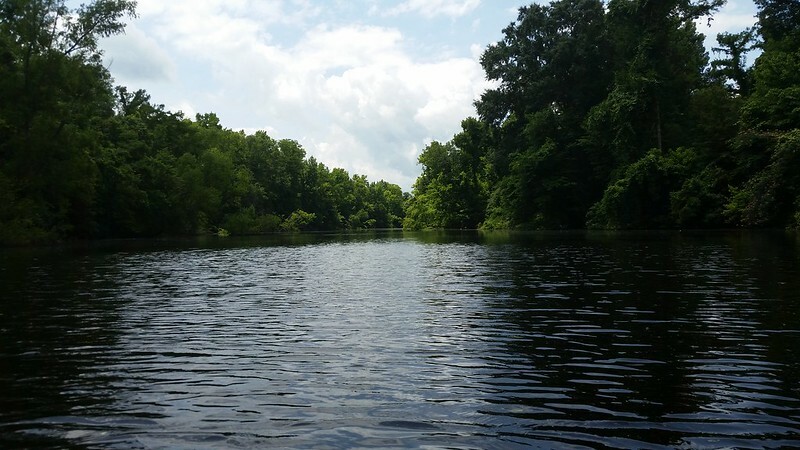 It made sense – a kayak is relatively cheap and I have a place to put it. I started looking online and came to find out that a lot of people go kayak fishing. I watched a lot of others’ videos, read their articles, and basically soaked up all of the information I could. 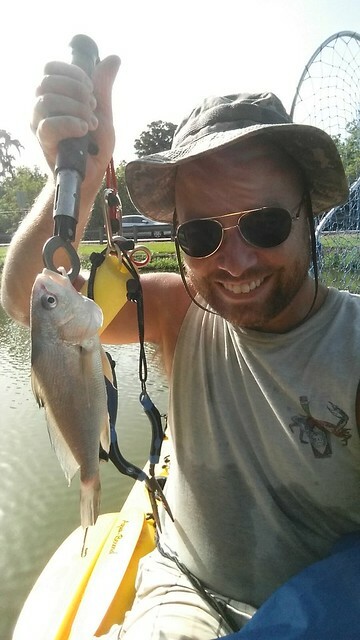 I also came to find out that there is a huge kayak fishing community in Louisiana (http://www.bckfc.org/ is one I frequent). I finally came across a great deal on a used kayak last January (2014), and went for it. A month later, I had it kitted out and ready to fish. 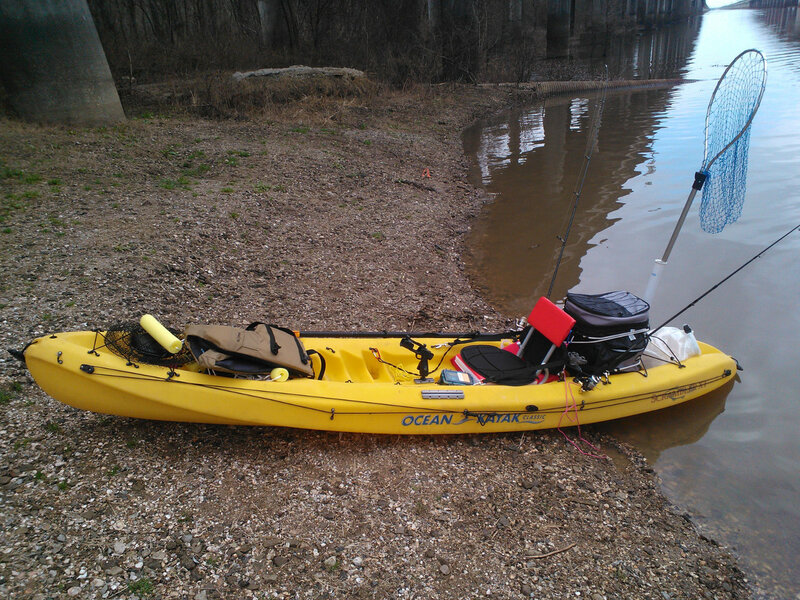 My first kayak fishing trip was at Lake Pelba in mid-January. The weather was nice, in the low 70’s but fishing conditions overall were unfavorable. The weather had been super cold, so the water had not warmed up yet, the sky was overcast, and the water itself was super murky, probably due to a recent rain. 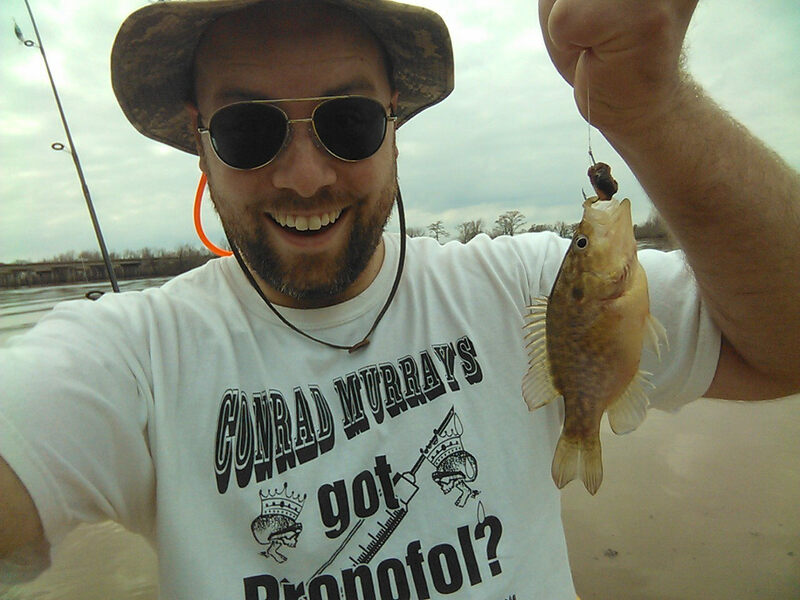 I spent about 5 hours on the water and had a blast, but all I got was a baby bluegill. I didn’t get to go again for two months, but when I did, I hit up the marsh in Golden Meadow, LA. Again, I spent about 5 hours on the water, and got a crazy sunburn (the kind of life-changing sunburn that will never let you forget sunscreen again), but this trip was even better than the first. 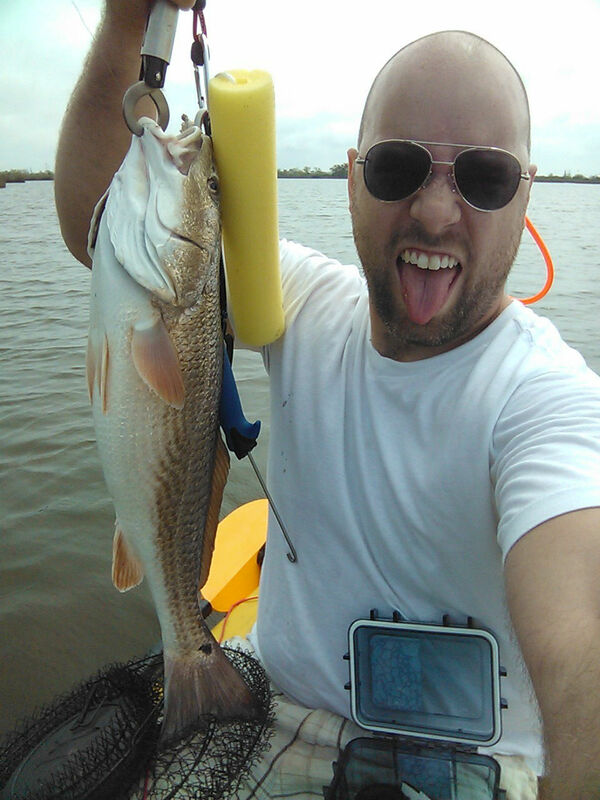 After a little over an hour of being on the water, I hooked into a redfish, and we went for a ride. I fought with it for a few minutes, and it drug me about 20 – 30 yards, but I finally pulled it in. I’m pretty sure it was the first redfish I’ve ever caught, and it a great first. 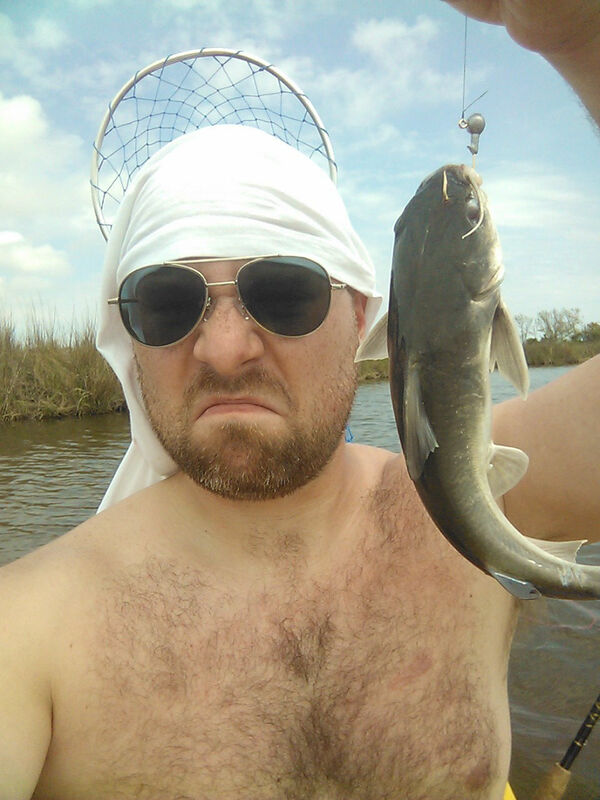 A spent a few more hours on the water, catching nothing but a catfish. I wasn’t sure if it was a gafftop or hardhead, but it wasn’t really worth keeping either way, so I threw it back. I finally paddled back, packed up my kayak and gear, filleted my fish, and headed back. 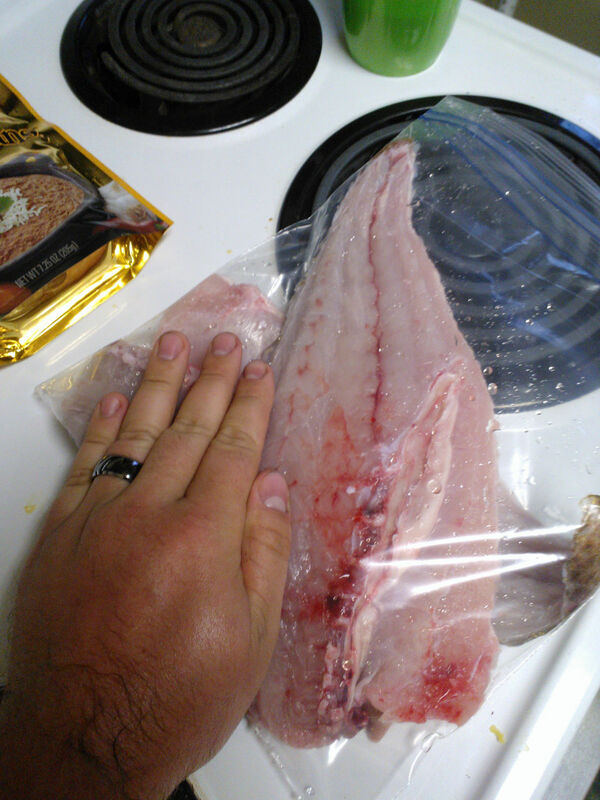 The fillets that came off the fish were enough for four meals. I cooked the fillets up with some butter and blackening seasoning and they were great. There’s nothing like sense of accomplishment that comes from paddling out, wrestling with a fish, pulling it in, cleaning it, and cooking it up as part of an amazing meal. That’s my kayak fishing adventures so far. There will be many more.